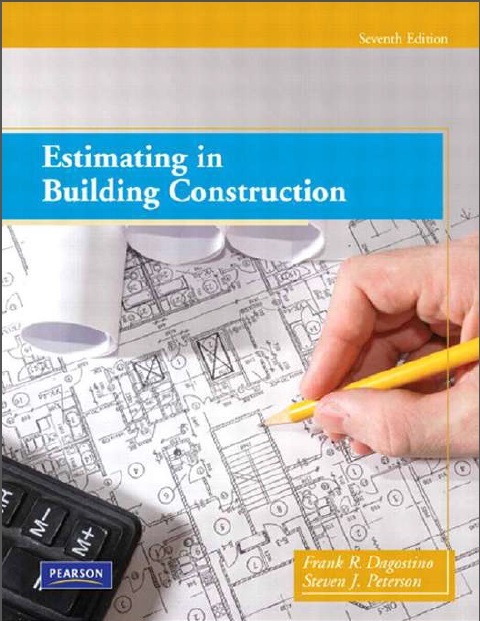 An update of the proven estimating text by Frank Dagostino, Estimating in Building Construction, 7/e, provides everything you need for a course in Estimating. It combines sound coverage of principles with step-by-step procedures to help students learn concepts more easily. Ideal for construction, architecture, and engineering students, it reflects the popular approach of tracing a complete project's progress. Added in this edition is a discussion of computers in estimating, different types of estimates (e.g., square foot, project comparison, and assembly estimating), how to determine labor productivity, and how to determine labor burden.